"This spirit - she is determined, very powerful, rage surrounding her." 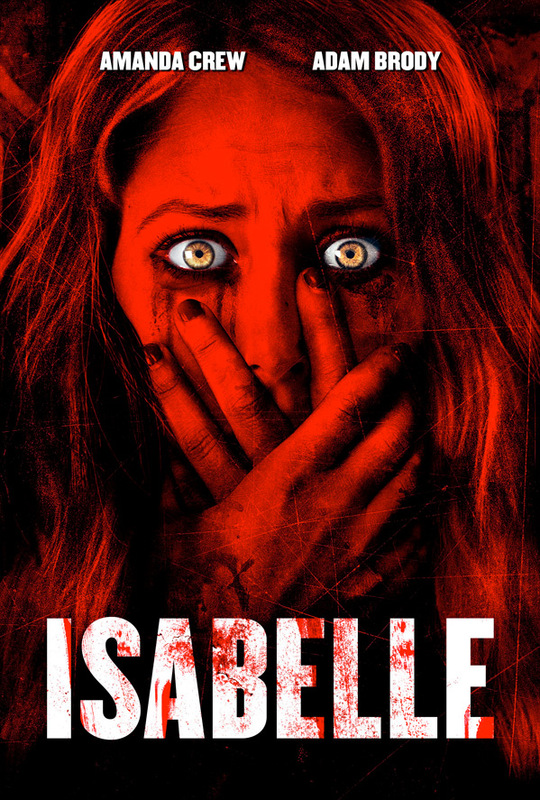 Vertical Entertainment has unveiled an official trailer for an indie horror thriller titled Isabelle, which premiered at the Busan Film Festival last year. Isabelle is the latest horror from Canadian filmmaker Rob Heydon, and is hitting VOD + a few theaters in late May. After moving into the perfect New England neighborhood, an all-American couple's dream of starting a family is shattered when they encounter an evil spirit that wants nothing more than to take their lives. Amanda Crew stars with Adam Brody, and a full cast including Zoë Belkin, Sheila McCarthy, Booth Savage, Michael Miranda, Dayo Ade, David Tompa, Zoe Doyle, and Shanice Banton. This looks like your standard paranormal horror with the usual terrifying scenes and a freaky red-eyed ghost girl. After moving into the perfect New England neighborhood, an all-American young couple's (Amanda Crew & Adam Brody) dream of starting a family shatters as they descend into the depths of paranoia, and must struggle to survive an evil presence that wants nothing more than their own lives. 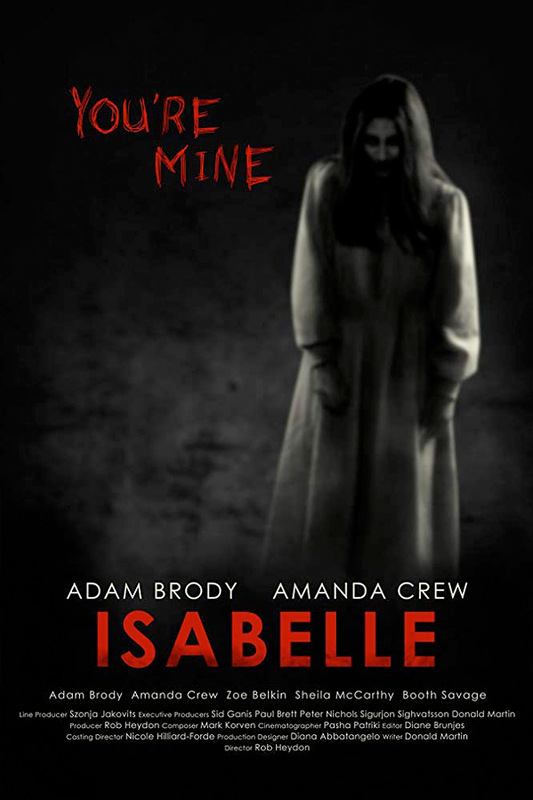 Isabelle is directed by Canadian producer / filmmaker Rob Heydon, making his second feature film after directing Ecstasy previously, as well as other production work. The screenplay is written by Donald Martin. This premiered at the Busan Film Festival last year, and also played at the Fantasporto Festival in Portugal. Vertical Ent. will release Heydon's Isabelle in select theaters + on VOD starting May 24th next month. This look any good?